Capt. 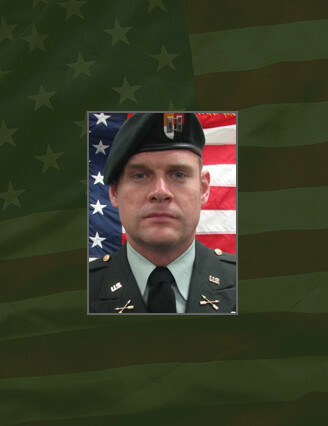 Jason E. Holbrook, 28, died of wounds sustained from an IED blast during a combat reconnaissance patrol. He was a Special Forces Operational Detachment-Alpha team leader assigned to Company C, 1st Battalion, 3rd Special Forces Group (Airborne). He deployed in support of Operation Enduring Freedom in July 2010 as a member of the Combined Joint Special Operations Task Force – Afghanistan. This was his second deployment. Holbrook, a native of Burnet, Texas, was accepted to the United States Military Academy where he majored in Environmental Science. Capt. Holbrook’s first assignment was as a Rifle Platoon Leader in Alpha Company, 1st Battalion, 501st (Airborne) at Fort Richardson, Alaska. He served there for three years and deployed with the unit to Iraq between 2006 and 2007. Following his deployment he reported to Fort Benning, Ga.. to attend the Maneuver Captains Career Course and then Fort Bragg, N.C., to attend the Special Forces Qualification Course. Capt. Holbrook graduated the course on the 16th of April 2010 and reported to 1st Battalion, 3rd Special Forces Group on the 27th of May. Holbrook’s military education includes the Survival, Evasion, Resistance and Escape Course; Ranger Course; Basic Airborne Course; Infantry Officer Basic Course; Infantry Maneuver Captains Career Course and Special Forces Qualification Course. His awards and decorations include the Bronze Star Medal, Purple Heart, Army Commendation Medal with Oak Leaf Cluster, National Defense Service Medal, Iraq Campaign Medal, Afghanistan Campaign Medal, Global War on Terrorism Service Medal, Army Service Ribbon, Overseas Service Medal, Parachutist Badge, Combat Infantry Badge, Expert Infantry Badge, Ranger Tab and the Special Forces Tab. He was posthumously awarded the Bronze Star Medal, Purple Heart, NATO Medal, and Meritorious Service Medal. Holbrook is survived by his wife Heather Holbrook of Fayetteville, N.C.; mother and father Joan and James Holbrook of Burnet, Texas.